Watch Chris Fleet, the National Library of Scotland's Senior Map Curator, talk about the history of mapping in Scotland to help get you started. Welcome to Mapping History – a guide to using historical maps. Whether you're a teacher interested in finding out about how to use maps in the classroom or a community group looking to do a local history project, this site is for you. We've created a range of activities and a simple step-by-step guide which shows you how to read and use a wide range of maps including historical maps. These activities which will help you learn more about the history of your area using maps. 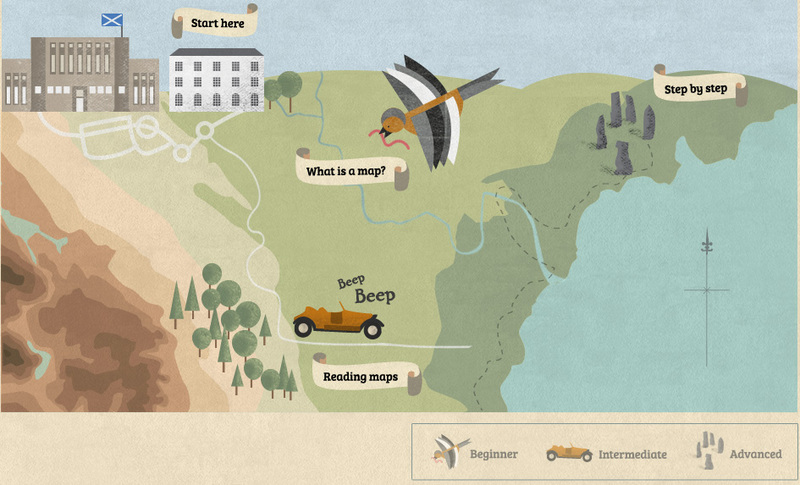 The 'Go further' downloadable activity sheets will help you extend your knowledge of using maps in the field.